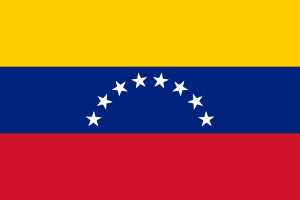 Venezuela is a federal presidential republic. The chief executive is President of Venezuela who is both head of state and head of government. Executive power is exercised by the President. Legislative power is vested in the National Assembly. Legislation can be initiated by the executive branch, the legislative branch (either a committee of the National Assembly or three members of the latter), the judicial branch, the citizen branch (ombudsman, public prosecutor, and controller general) or a public petition signed by no fewer than 0.1% of registered voters. The president can ask the National Assembly to reconsider portions of laws he finds objectionable, but a simple majority of the Assembly can override these objections. The president is elected by a plurality vote with direct and universal suffrage for a six-year term. A president may be re-elected perpetually (only in consecutive terms) as of 15 February 2009. The president appoints the Vice President. The president decides the size and composition of the cabinet and makes appointments to it with the involvement of the National Assembly. The National Assembly has 165 seats. Members are elected by popular vote to serve five-year terms. Each member may be re-elected for a maximum of ten additional terms. Three Assembly seats are by law reserved for the indigenous peoples of Venezuela. National Assembly elections were last held on 6 December, 2015. When the National Assembly is not in session, its delegated committee acts on matters relating to the executive and in oversight functions. At various times throughout its history, Venezuela has had unicameral and bicameral legislative bodies. The judicial branch is headed by the Supreme Tribunal of Justice, which may meet either in specialized chambers (of which there are six) or in plenary session. The 32 justices are appointed by the National Assembly and serve 12-year terms. The judicial branch also consists of lower courts, including district courts, municipal courts, and courts of first instance. The National Electoral Council is responsible for organizing elections at all levels. Its members are elected to seven-year terms by the National Assembly. 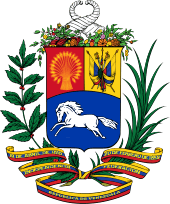 Wikimedia Commons has media related to Government of Venezuela. ↑ (Spanish) Ministry of Communes and Social Protection, 21 May 2009, "El Ministerio del Poder Popular para las Comunas no construye Comunas"